All too often the quality of the appliances is overlooked when making improvements before selling a home. In fact, the appliances are much more of a factor for many choosing to buy a home than we may initially realize. Of course, almost every potential home buyer checks all of the appliances to see if they function properly or they need to be replaced, but replacing certain appliances can also impact the appeal of a home in ways the home buyer does not even realize. Simply by replacing the following four appliances in a home, you can improve your home value and make it more attractive, which should help it help sell quickly and for the initial asking price. First and foremost, it is important to replace all of the outdated kitchen appliances in your home, which include the refrigerator, dishwasher, and microwave. In most instances, it is also highly beneficial to replace the toaster and vent as well. It is crucial to replace kitchen appliances that either do not look or function up to par because they are the most visible appliances, especially to potential buyers on a visit. 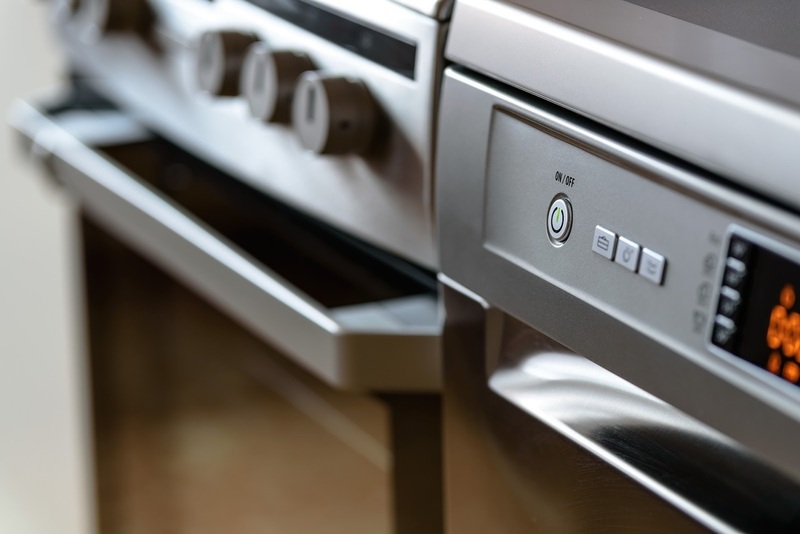 While a rundown kitchen appliance that is simply out of date can decrease the personal value of a home for a potential buyer, new, attractive kitchen appliances are almost always worth the investment. Along with kitchen appliances, washers and dryers are some of the most commonly used home appliances. Subsequently, it is important to ensure the washer and dryer are top notch and appealing to potential home buyers. While the laundry room is not typically in a featured part of the home, it can still be an eyesore to constantly walk past a laundry with poor appliances. There are a couple different ways to replace the washer and dryer. In the event the laundry room is smaller than average, you may be able to get an all in one unit, which helps you save space and keep the laundry room neat for display purposes. Otherwise, you can get a matching set or make improvements to the current one if you are on a budget. Much like kitchen appliances and washer and dryers, replacing the hot water heater improves the function and appeal of a home. While a hot water heater is typically out of sight as well, a large, dysfunctional hot water heater can be a complete eyesore and significantly raise the electricity bill each month. Instead, you can replace the old hot water heater with either a tankless water heater or a new, modern hot water heater that looks good and functions properly. Lastly, it is always a necessity to ensure the light fixtures work well and are aesthetically pleasing to potential buyers. In the event the light fixtures simply do not match the rest of the home or are outdated, be sure to improve replace them with more modern fixtures. Also, be sure to check each light bulb and ensure they all work properly. Proper light fixtures and lighting can significantly improve the appeal of your home for a potential buyer. Annette Masterson is a licensed broker with EXIT Realty Bob Lamb & Associates in Murfreesboro, TN. She has developed one of the most successful real estate teams in Rutherford County, known as Masterson Network, that specializes in new home construction and residential listings and sales throughout Middle Tennessee. You can email Annette at mastersonnetwork@gmail.com or call her at 615-896-5656 (Office) or 615-533-1660 (Cell) for more information.